« Childhood Holiday Farm surrounded by apple trees: can anyone identify it? They are also available, when in season, at the SE Essex Organic Gardeners’ market stall at both the Rochford and Leigh Farmers’ Market – the next Leigh one is on Saturday 19 December, at 8.30am (note new time, just for December) in the Leigh Community Centre, Elm Road, Leigh-on-Sea. 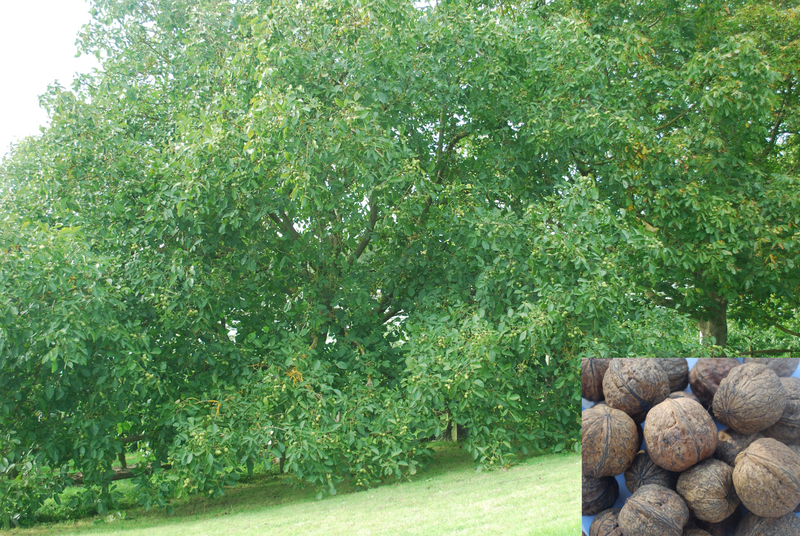 My neighbour in Perthshire Scotland had a very good crop off an 8 year old Buccaneer Walnut this year. ….But wow is it growing fast every year! I have come across some very big old trees in Scotland, and wonder if the owners realise how big they get!